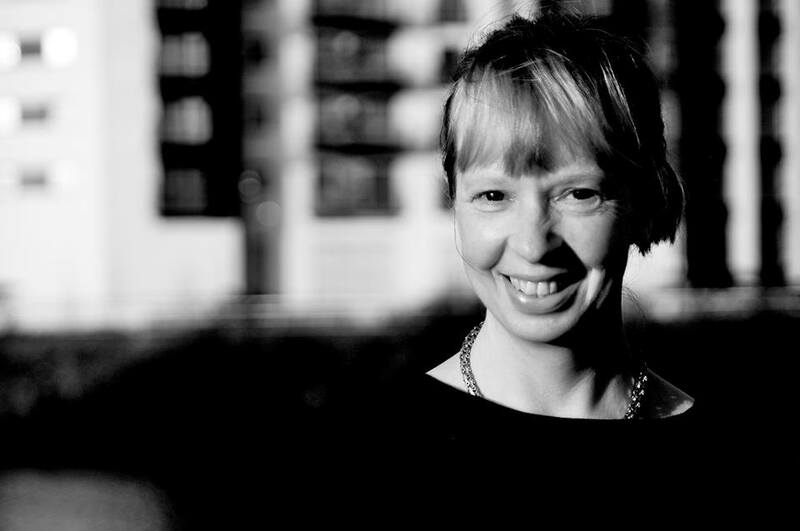 Pembrokeshire-born Kate Hamer won the Rhys Davies short story award in 2011, and her winning story was read out on Radio 4. She has since been awarded a Literature Wales bursary. She lives in Cardiff with her husband and two children. 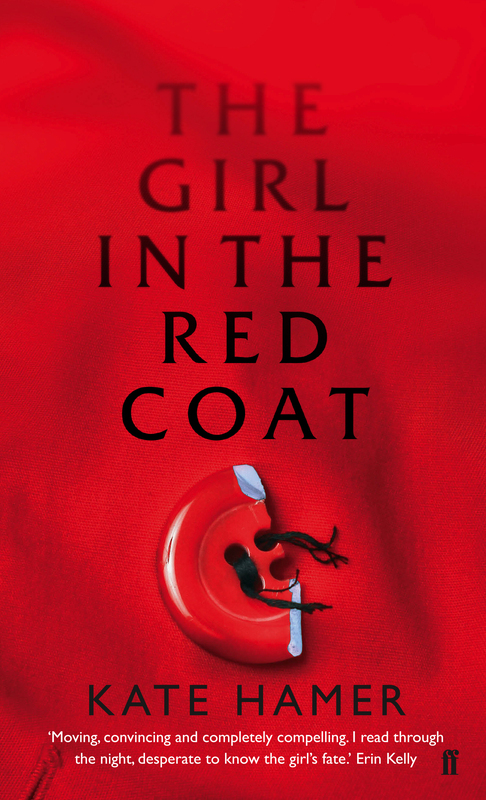 She talked to us about “The Girl in the Red Coat”, her first novel (Faber & Faber), which has been described as a crime book, a psychological thriller and domestic noir. How did this book come about? The subject of mothers and daughters has always intrigued and interested me. It’s not something wildly over represented in literature, but when the idea came it was out of the blue. I had the image of a little girl standing in a forest wearing a red coat. The only thing I knew about her was that she was lost. When, several weeks later I sat up in bed and wrote the first chapter it was the voice of her Mum that came through –talking about the loss of her eight-year-old daughter. So Carmel and her mother, Beth, came at different times. Where does the book take readers? It’s a hard book to talk about without too many spoilers but hopefully it takes readers to a place they don’t expect. Ultimately, I see it as a book about love rather than loss. What attracts you to this type of story? I always loved fairytales. To me, they have a bit of everything – magic, recognisable familial relationships, peril, intrigue. There’s a deeper reality about them that goes beyond the everyday and the mundane. The description of the novel I’ve liked most was a ‘twenty-first century fairytale.’ That’s the sort of book I like to read myself. What are the challenges in creating the world your characters live in?I think getting the relationships right. It’s a book very much about the relationships we have with each other so if they are off kilter it will tell. What makes your book stand out from the crowd? I’m not sure I’m the right one to answer that! All I know is I wrote the story that I was burning to write – it’s for other people to judge it. What is the most inspiring thing that has happened to you as a writer? Something that happens every day – reading. It’s something I am constantly in love and amazed by. At the moment I’m reading ‘The Night Circus’ by Erin Morgenstern and it feels like I’ve discovered something new again. As an avid reader it happens all the time. Tell us about your experience of writing books. How did it all start for you, and what kind of writer are you now? Where in your heart has the creative instinct found root and grown? Writing started at a very young age for me – it’s really been a life long process. I always kept notebooks and wrote short stories but the journey of writing a novel is the most satisfying thing I’ve ever done. That’s an interesting question about the creative instinct. In some ways I think it’s about the possibility of living more than one life. Every story you tell you go with the characters through their lives and experience things with them – so you aren’t ever just stuck with the one life! Where is your writing going to take you and your readers next? It’s a coming of age tale again, this time it’s set in a forest. I’m loving being on that journey again. Read more about the book in the author’s own words here. She is the missing girl. But she doesn’t know she’s lost. Carmel Wakeford becomes separated from her mother at a local children’s festival, and is found by a man who claims to be her estranged grandfather. He tells her that her mother has had an accident and that she is to live with him for now. As days become weeks with her new family, 8-year-old Carmel realises that this man believes she has a special gift… While her mother desperately tries to find her, Carmel embarks on an extraordinary journey, one that will make her question who she is – and who she might become. Posted in CultureTagged interviewsBookmark the permalink.